The Office of Government Relations and Economic Development propels the leadership and innovation UNG is known for beyond the classroom and into our local communities. From the shores of Lake Blue Ridge to the western banks of the Savannah River, from the golden steeple of Price Memorial to the golden dome of the Georgia State Capitol, our office serves and engages with a diverse thirty-county region. Our goal is to plant seeds of success not just for UNG, but for all of our surrounding communities to harvest. By establishing meaningful community partnerships, advocating for the university and its surrounding regions, and giving back to the community, we are ready to see how far we can grow. 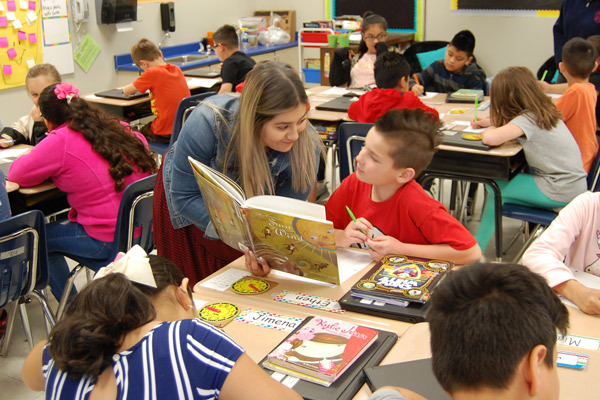 In 2017, seven UNG students signed up for a new program in the College of Education and would become teachers in Hall County Schools. Nearly two years later, the RISE program is considered a success.